“You will eat when we have eaten'” said the man. “For now, you are here to serve”. “One, you will serve the antipasto. Two – you will be sommelier. Three, You will serve the entree. Five, You will serve pudding. Two will bring it to you”. The man motioned to The girl, who drew out the chair to his left and sat. “One, the platter on the left please, Two, the white wine – and iced water please”. The two girls moved to the sideboard. One moved confidently. Two less so. She’d clearly had no problem with heels before but now, she was ungainly. No swaying, one-foot-in-front-of-the-other sashay now. “Two, you can walk better: you showed us how at the station. Come back and do it again,” ordered the man. Two turned, walked back to her chair with a more confident, open stride and turned again, As she did one of her balls emerged from her with a soft plop. She stopped and reached down. “Do not adjust your dress.” He sounded stern. Two walked back to the sideboard conscious of the sticky metal sphere swaying lazily between her legs. She reached for the uncorked bottle in the ornate, antique wine cooler, turned on her heel again – as alluringly as she could manage, and walked to the end of the table, passing behind The girl and her master and standing slightly behind and to the side of his right shoulder. “May I pour sir?”. She bent slightly to reach the smaller glass and felt things become even less certain down below. He passed the glass to the Girl, who swirled it, sniffed deeply, tasted, nodded and replaced the glass in front of her man. Two reached further forward to fill the larger glass. He motioned her hand away. “That’s for the red wine'” he said, “water please”. She made the long walk to the other end of the room, concentrating hard. She was very wet now. So wet she could imagine her juices soaking and then sliding down the silk cord connecting the two stainless steel balls, coating the one that had escaped and which was swinging gently at the top of her legs. She pictured the oily wetness slowly covering the ball and coalescing at its base, dripping gently on the polished parquet floor. She placed the bottle of Evian on a salver, together with two crystal tumblers put a napkin over her arm and began the walk back. She felt no more secure. She made the precarious journey again, much more confident that she was holding her own. She returned with iced tumblers and poured the water. `’in future,” he said “one glass will do”. The girl fed the man and then fed herself. When only a few olives and artichokes remained he waved away the plate. One stepped forward and took it and The girl looked at Three and pointed to the plate near the middle of the sideboard, sitting on a warmer and covered by a silver dome. Three grabbed the plate and immediately let go. It clattered back down onto the warmer: It was burning hot. she looked for something to hold it with – there was nothing. 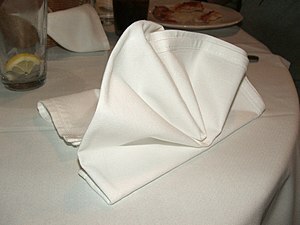 “Two, you have Three’s napkin” said The girl. Two bustled down the table holding out the napkin. She’d lost composure and, with a clatter, she lost her remaining ball. She made to pick it up. “Not now,” the man said. Flustered she gave the napkin to Three who picked up the plate and delivered it to the table, uncovering it with a flourish. It was a steak, oozing juices, with a mass of mushrooms, all sorts, by its side. The man cut into the steak and delivered a superbly pink portion to his girl’s mouth. He looked at Three standing forlornly where she had dropped her ball. “Another five demerits”. He took the permanent marker from The girl’s tray, rose and moved to Two’s side. He made another a group of five lines on her buttock. He tipped Two’s chin up with a finger. “I can solve this problem for you”. “You’ll still get your demerits.” She had no idea whether this was good or bad – but she was very aware of the five black lines on her behind. She thought. Then shook her head. “Do you want to keep them in for me?”. She nodded. There was a new silence in the room. All the others looked at Two. Five thought she’d misheard. Three scowled – an opportunity to impress and it wasn’t being offered to her. One wanted to object on Two’s behalf – surely this was abuse. But Two was smiling. She almost looked nonchalant. Two nodded. Hello,is there a ‘ Matched Pair : 16? I’d love to know how this turns out. Thank You, Trinity.